Parish in India: St. Mary’s Church, Onakkoor. Senior Social Worker , Department of Aging Services, Hiilsborough County. Fr. 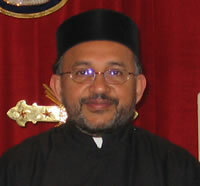 George Paulose is one of the few priests who has a degree in Social Work. His enthusiasm and talent are very beneficial to the members of his Parish. He has won the Customer Service Award for Hillsborough County twice and most recently in 2005. He was born to T. S Paulose and Chinnamma in Valanadyil family, at Onakkoor in the year 1954. He is the nephew of the famous Valanadyil Thomas Achen who was the Vicar of the Kottayam Mar Elia Chapel for many years. 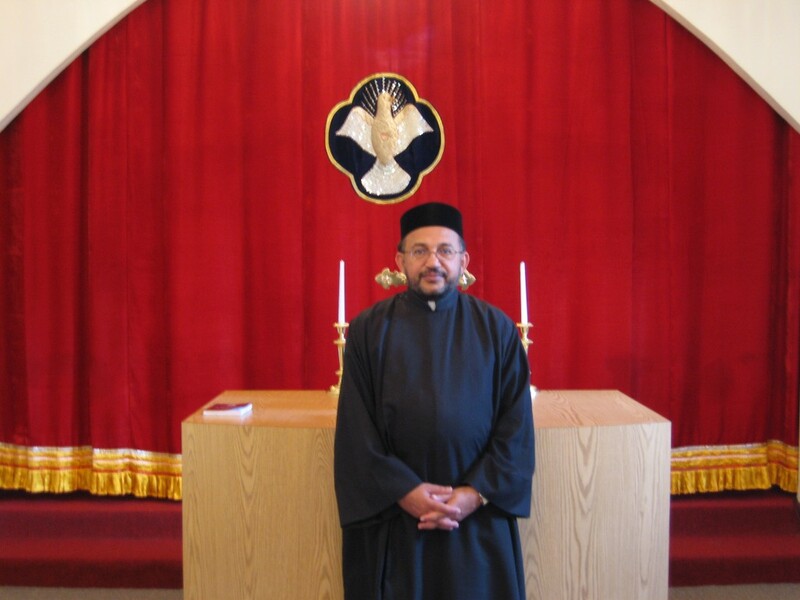 After the High School and College studies, he joined the Orthodox Seminary in 1975 and earned the BD degree and the GST Diploma. He graduated from the University Of Udaipur ( Rajasthan) with a MSW degree in 1982. He completed studies in Ecumenism at the Bossey Institute in Geneva in 1984. He also holds a certification in Diplomat American Board of Case Management. He was ordained as a Sub Deacon by H.H.Baselios Augen Catholicos in May 1969 and as a Deacon by H. G. Joseph Mar Pachomios Metropolitan of Kandanad Diocese. H.G.Dr. Paulos Mar Gregorios ordained him to Priesthood in 1987. He served the Malankara Orthodox Church in various capacities: Office Secretary for the Andhra Pradesh Rehabilitation and Child Welfare Projects (1979-80); Office Manager of the Seminary Publication “Star of The East “(1979-80 ); Coordinator of the Parumala Mar Gregorios Mission Hospital Community Health and Development Project ( 1983-84);Social Worker for the Delhi Diocesan Community Development Project( 1985-89);Vicar of St. Mary’s Orthodox Church, Faridabad (1988); Chaplain of MGDM Hospital , Kangazha, Kottayam ( 1989), President of Martha Mariam Samajam.